Slim and functional, Moshi's iGlaze with VersaCover protects your iPad like no other. 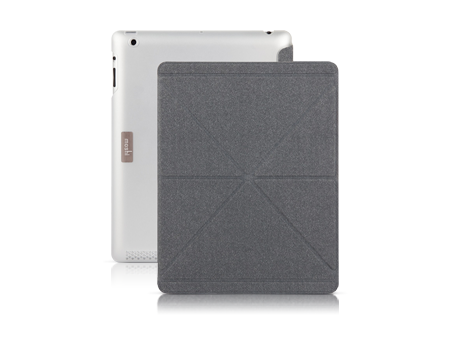 iGlaze excels at protecting iPad's aluminium back from scratches, while the VersaCover protects your Retina display with a soft microfiber lining. The VersaCover's built-in magnet assembly supports iPad's auto-wake/sleep feature and also doubles as multi-functional stand. Its unique folding design allows your iPad to be used in both portrait and landscape modes, providing you with both convenient viewing and comfortable typing angles. For complete protection and functionality, Moshi's iGlaze with VersaCover is the perfect solution for your iPad.